At the start of May, we hit Hong Kong for Mac’s birthday. 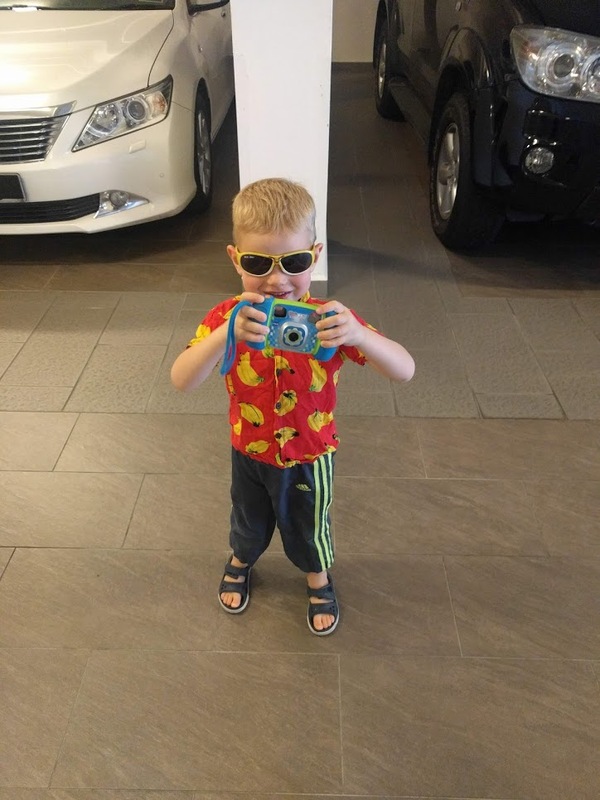 (My baby is 4! What?) We did two nights on Kowloon Peninsula at The Salisbury, which was a great hotel in a great location, and then two nights at the Hong Kong Disneyland Hotel. We had a great trip. Hong Kong is very beautiful. Picture something like NYC set in mountains and bays. Also, it’s super easy to get around. You can buy an Octopus card that works on the trams, buses, metro, and ferries. It even works at 7-11s and plenty of other shops. We used it at Disney! You just reload as needed and then can get a refund at the end of your trip for your remaining balance. Easy peasy. 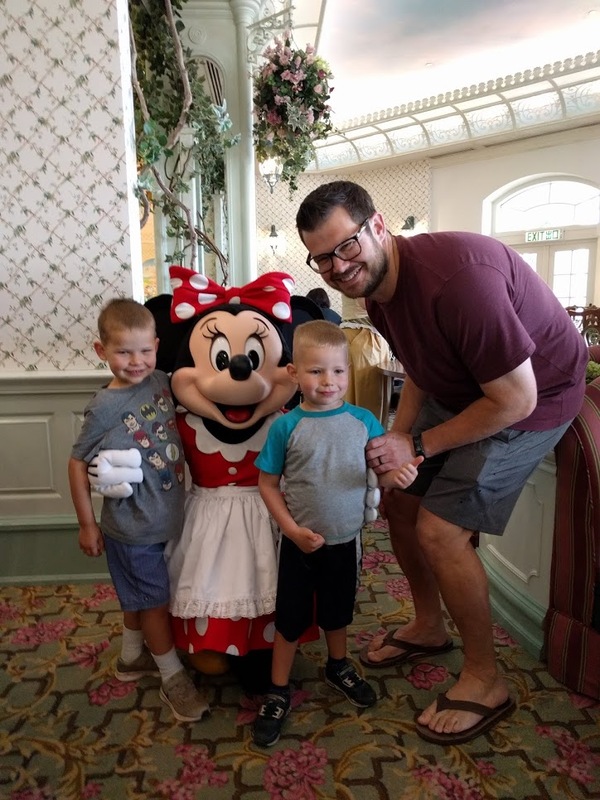 Disney was a lot of fun with the kids. We’d been warned that Hong Kong Disneyland isn’t huge and might be boring for older kids, but it was perfect for us. Their Space Mountain is a Star Wars themed Hyperspace that you only have to be 102cm (40 inches) to ride! Which means both of my kids could, but Mac opted out. 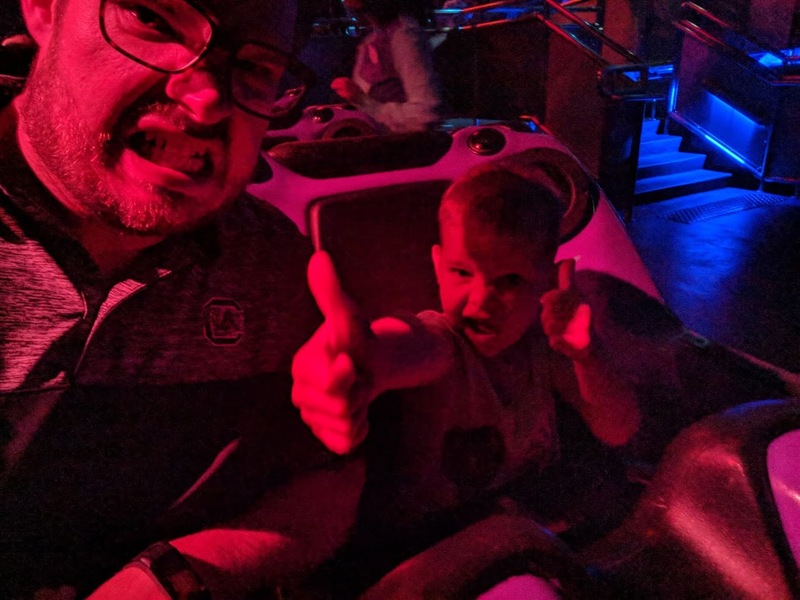 So we did a lot as a family and then the adults switched back and forth taking Henry on Hyperspace. I think we rode it at least 20 times in two days. Unfortunately, after Hong Kong I feel like both kids have had cough/colds all month. In the last week, we’ve gotten vigilant on doing a nasal spray. It’s not fun for the kids, but they are getting used to it. I think it has really helped. We ended up with some bonus holidays with the National election here. Definitely a few days of uncertainty, but we’re glad that transition seems to be going well. It was an exciting time to be in Malaysia! Ramadan started in May. It’s been noticeable in some ways and business as usual in others. Traffic jams start earlier in the afternoon as people want to leave to get home to their families. Some restaurants have changed their hours. For example, only carry out in the afternoon and then open for dinner. Many restaurants are unchanged. It seems like almost every restaurant has an evening Ramadan buffet, but we haven’t taken advantage. There are also Ramadan bazaars and markets which makes sense because I know the last thing I’d want to do would be to cook after fasting all day. 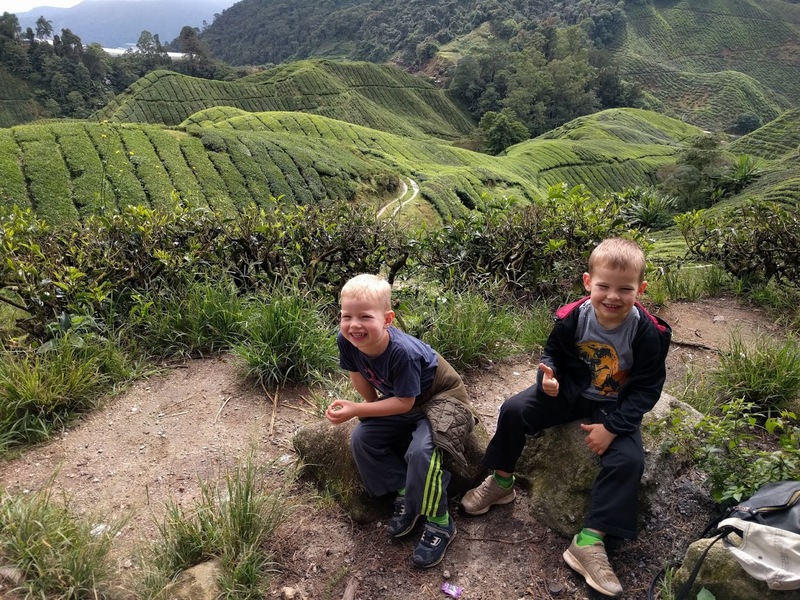 For Memorial Day, we cooled off in the Cameron Highlands. It was a bit of a trek to get there–about 3.5 hours–but apparently traffic was much quieter during Ramadan. It was definitely a treat to experience something so completely different than our usual day to day. The Highlands are hard to describe. Very beautiful, but also lots of tourist traps. James likened it to Gatlinburg. I haven’t been there, but it did remind me of the area around Maggie Valley, NC. Strawberries are the name of the game in the Highlands. There are pick your own places everywhere. Apparently, they get picked clean Friday – Sunday, and then attempt to regrow during the week. Strawberries aren’t something we usually get, and it was quite special to have fresh, affordable strawberries to indulge in. Other than that, it’s just felt like a bit of a weird time. School is still in session for a few more days, but it hasn’t felt like business as usual. 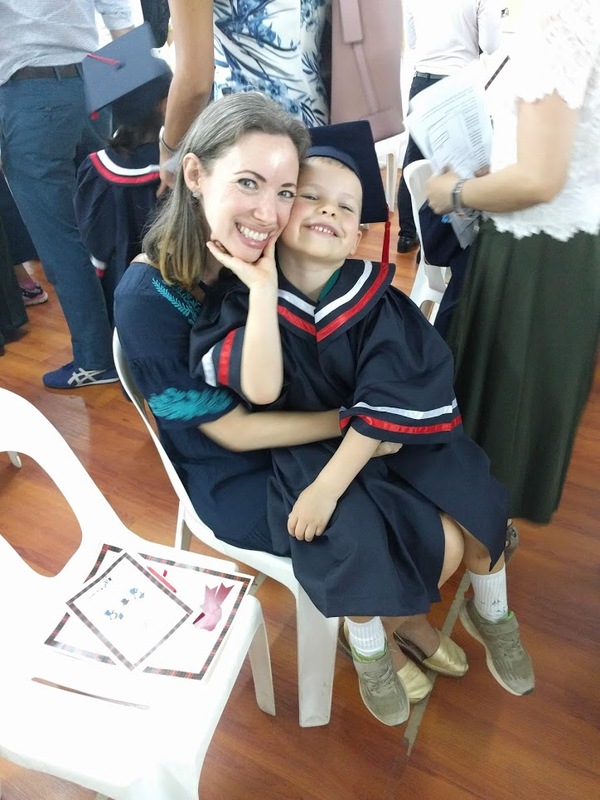 Henry had has kindergarten graduation last week. (!!) Between last minute things and ceremonies and graduation parties and trying to figure out teacher gifts, it just feels like our normal routine is nonexistent. The kids are BEYOND ready for a break too. They really do like school, but getting them out the door is real work these days. They are done. It’s also a time of transition here. We’re not moving on yet, but many people we know are. There have been goodbye dinners and lunches and play dates. It’s hard to say goodbye. It also reminds you that your time is not far away. Many other people we know are just heading to the States for a month or two to see family. Because the flights here are such a pain and jet lag isn’t fun, many people with school age children take advantage of summer break for a long visit. We’ll be heading to the U.S. ourselves, but not until July. Which I know will be here in no time, but feels far when so many people already left. The boys are incredibly excited to see their grandparents. We are too. I think that’s mostly it. What’s new with you? Are you ready for school to be done? Enjoying your summer so far? And their grandparents are anxious to see the boys and their parents. I know your family is so excited to see all of you! And the exciting stories that your boys will get to tell everyone! 🙂 July is the only month that I actually work and will be teaching my usual graduate course for Furman. So, before I start working, we are trying to cram a lot of camping and hiking trips in! Have a fun and safe trip back to the states! Thanks! Sounds like a blast. Hope you have a great summer!